Bus Pickup in front of Fraser Building at 6:00 a.m.
Limit of only 20 students! 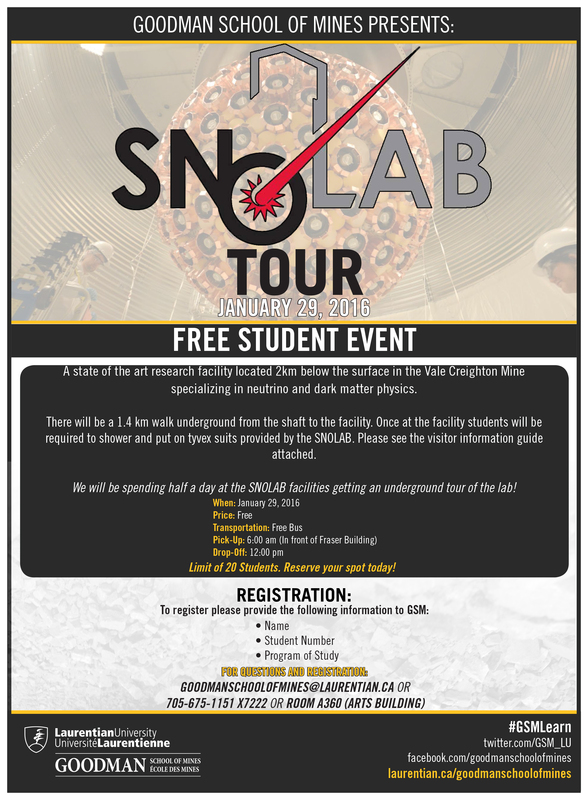 Reserve your spot today! 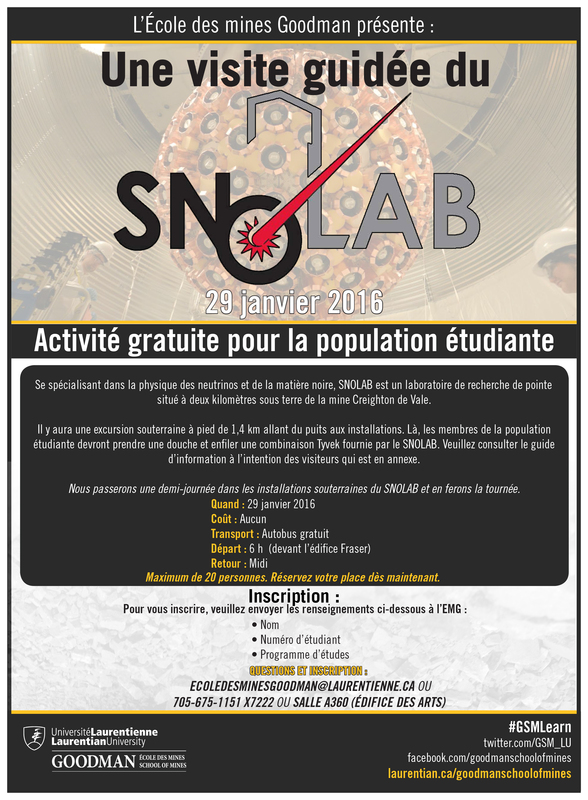 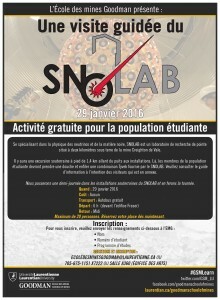 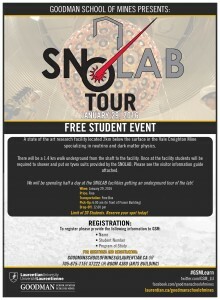 We will be spending half a day at the SNOLAB facilities getting an underground tour of the lab!